The Fermentegg represents a new take on one of the oldest vessel shapes for winemaking. 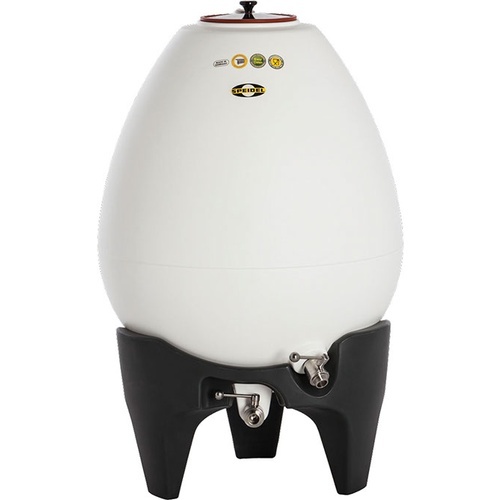 Oval vessels have been used to ferment and store wine for thousands of years, however Speidel's Fermentegg brings this concept to modern times with a lightweight yet heavy duty, food-safe polyethylene construction. The egg shaped vessel results in convection currents during fermentation, unhindered by corners or edges. This movement results in your beer or wine constantly circulating, with an end result of a more complex, yet unified product. Fermentations will generally complete quicker due to the motion of the product, and hot spots will be eliminated as the product remains at a homogenous temperature. Can be used to ferment wine, beer or even cider! 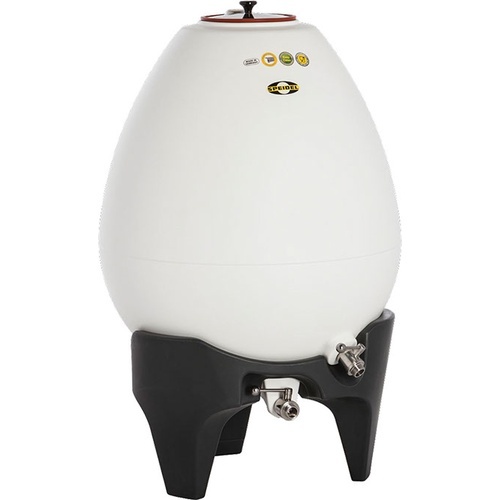 Speidel has become known as a forward moving company in fermentation equipment and following in the foot steps of the Speidel Plastic Fermenter, the egg is very easy to clean because of it's smooth inside surface. Stainless Full Coupler - 1 in.